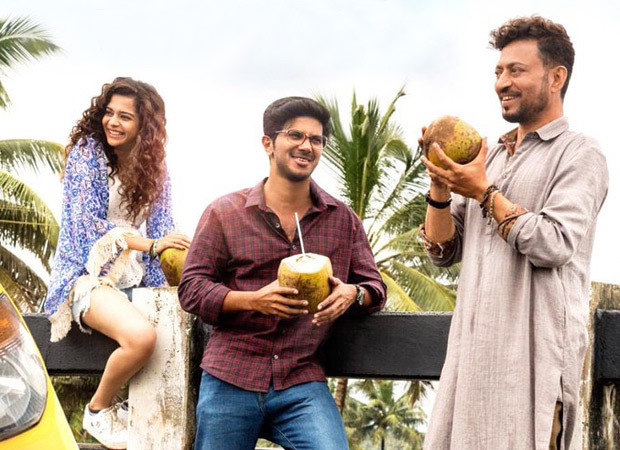 One always braces up for some sort of a surprise when soundtrack of a film like Karwaan arrives. Reason being that you don't really have any set expectation around what would eventually be in store. Moreover in case of Karwaan there are more than half a dozen songs and that too by a different set of composers, lyricists and singers. Hence you look forward to what does the music of this road movie have in store. It is a good beginning for Karwaan with 'Chota Sa Fasana' managing to make an impact right from the start. There is a soothing sound to it which gradually builds and once Arijit Singh takes over the mike, you like what you hear. Written by Akarsh Khurana (who is the director of the film), this one has a philosophical undertone to it but doesn't get overbearing at all. Composer Anurag Saikia does well in bringing on this melodious outing which has a Western base to it. Barring one song, rest of the soundtrack is all dominated male singers and that can be evidenced in 'Saansein' which comes next. Composed, written and sung by Prateek Kuhad, this one pretty much continues the kind of mood and setting that had been created by 'Chota Sa Fasana' just before it. This is the one for the road as well and one can visualize this to be playing on as a montage sequence. A decent number. Composer Anurag Saikia and lyricist Akarsh Khurana are back with 'Heartquake'. This one tries to be all funny and humorous but doesn't really come across as effectively. A song about a guy trying to woo his girl, this one appears in two versions. First to arrive is a slow version by Papon that aims at being all romantic in its Hinglish rendition. Later in the soundtrack there is an 'Aftershocks' version that has lyricist/singer SlowCheeta adding on. One can expect a video version of the song to be out before release. However, one doesn't really see that helping the film's cause much. Things turn further awry with SlowCheeta bringing on 'Dhaai Kilo Bakwaas'. One wonders whether this was meant to be a 'pun intended' moment for the makers of the song as the song just goes all around in different directions without reaching anywhere. A pop/rap outing with Hindi and English lyrics and a bit of Malayali style of rendition, this one has Shwetang Shankar chipping in as a composer as well as singer with Anish John and Sanjeevkumar Nair joining too behind the mike. Fortunately things get a bit back in control with Prateek Kuhad returning to the scene after 'Saansein'. The mood of this song too, titled 'Kadam', is in the same mode as 'Saansein'. Though this one is a soothing outing, it isn't the kind that gets on the top of the playlist of those who like their music to be quintessentially Bollywood. At best, it may fit into the narrative of the film as a part of the background score. 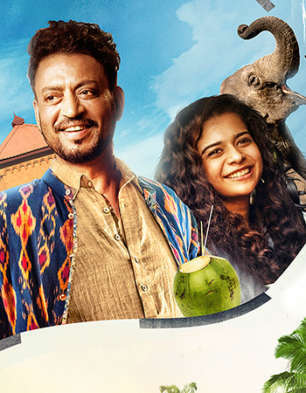 Composer/lyricist Imaad Shah and singer Saba Azad have collaborated earlier too on some non-film songs and they do this for Karwaan as well with 'Bhar De Hamaara Glass'. This is the only song in the soundtrack with a female voice in there and while it lasts a mere two and a half minutes, you don't quite crave for it to be any longer since there isn't much to talk home about.